The acid reflux is a common disease that occurs due to the inconsistency of the LES. If the LES or as some may call it the lower esophageal sphincter is not able to stop the acid within the stomach; it passes till the esophagus and causes various damage. 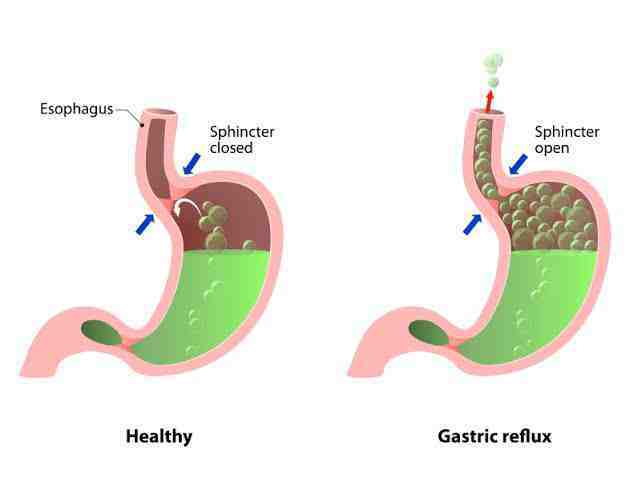 This condition occurring more than two times in seven days is to be considered as the state of acid reflux. There are a huge number of acid reflux symptoms that can warn you early about the disease symptoms and help you get rid of it soon. The main reason behind the occurrence of this uncomfortable disease is a hiatal hernia. This stomach inability has a huge role in malfunctioning of your LES and makes it spill the acid out. You need to keep it well in control to keep yourself away from the disease. Regular exercise and not taking unwanted medication can also very well help. Other reasons that can make you fall for the acid reflux is mainly your food as well as drinking habit. There are certain food items that should be avoided in order to keep it acid reflux under check. The food we take seriously plays an extremely important role in forming what we are and how we are. That is the main reason people are asked to take a healthy diet to stay healthy. There are very well some of the Foods To Avoid Acid Reflux that will make you stay away from this disease. In the mains, you should be avoiding the junk food and the ones with extra spices. It ignites the acid formation on a high scale and can also make the LES work in an inappropriate manner. Other food items that you should be avoiding are mentioned down below. These will surely help you in order to keep the disease under control and in the first place avoiding it. The beverages such as alcohol and caffeine-containing drinks can also trigger the acid reflux. This disorder is mostly self-diagnosable and you can easily get to know about it if you are facing the acid reflux symptoms. You are have diagnosed the disease, it is essential that you should visit a doctor in the first place.